ChronoScan can learn the Document Type based on the layout recognition algorithms. This advanced feature allows it to “remember” user actions for each Document Type allowing the user to automate repetitive tasks and improve data input. Every different document type will be assigned to a different template where you can customize OCR areas and Grids and settings. 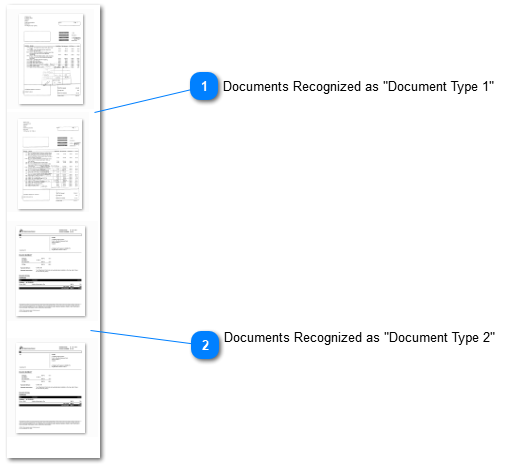 Documents Recognized as "Document Type 1"
Documents Recognized as "Document Type 2"